Turn on the television and, before long, you’re likely to see at least two or three commercials for various credit cards from some of the major banks and financial networks. They entice you with wonderful offers like cash back on the things you buy everyday or airline miles with no blackout dates. You won’t even have to pay an annual fee to own the card and its widely accepted at thousands of merchants all around the world! By the time Samuel L. Jackson is done telling you how awesome the card in his wallet is, and all of the ways you can earn miles and rewards, you can’t get online fast enough to apply. But not every credit card is what it seems up front, because while you may be eligible for a variety of sign-up bonuses and cash rewards, you may also be signing on to pay through the nose every time you use the thing. That’s why it’s important to check all the fine print first and you can start with the letters A.P.R. This stands for Annual Percentage Rate and it’s the rate you’ll be paying on that line of credit that the company has enticed you to open with all the fancy rewards and points you’re going to enjoy. But you may not be enjoying it so much after all, especially if the APR on your card is upwards of around 23%. That’s extra money coming out of your pocket when the bill shows up in the mail and it can help increase your overall credit card debt all too easily. The best way to prevent that from happening is to pay your monthly bills in full, so you don’t accrue more interest on top of the balance you may be carrying on the account. But don’t despair, there is some good news as to the different APRs that are available to consumers. Many companies offer low interest options as part of their menu of credit cards, a good majority even offer cards with 0% introductory APRs which means you won’t be paying any interest on your balance for anywhere from one year to almost two. This is all on approved credit, of course, as these are marketed towards consumers who can qualify with high FICO scores in the good to excellent range. Without that high score, you’re probably not going to be able to get one of these and that’s important to keep in mind because once the introductory period expires, the rate hike is determined by your score. So the higher the score, the lower the rate. If this sounds like something you might qualify for, then take a look at our favorite low interest cards of 2016. The Capital One VentureOne is the credit card for the frequent flyer. You earn miles for every dollar you spend at a rate of 1.25 miles for every $1. The card comes with a standard one year 0% introductory APR period and then it raises up to 12.24% if your creditworthiness qualifies for that lower rate. It can get all the way up to 22.24 if you’re not careful. There’s no annual fee and the company offers 20,000 miles after an initial spend of $1,000 within the first 90 days of ownership. APR: 12.24%-22.24% variable, based on your credit. 0% Introductory APR for 12 months on purchases. Fees: $0 annual fee. $10 or 3% of the amount of each cash advance, whichever is greater. Perks: The miles rewards program is one of the biggest selling points here with 1.25 miles earned for every dollar spent. The 20,000 miles bonus after $1,000 in purchases is a pretty nice perk as well. The card is also accepted at all airlines and hotels so booking your travel plans is a cinch. Your miles never expire either and they can be used with few restrictions. Drawbacks: The introductory APR is okay, but there are longer initial periods out there on cards that have a wider range of rewards programs. The other drawback is that the initial 0% APR only applies to purchases so don’t expect to enjoy that no interest perk for balance transfers. The Slate brings a lot to the table for new customers and it’s one of the better options for a low interest card because it costs nothing to own for at least one full year. Chase offers a 0% introductory APR for 12 months, $0 introductory transfer fee, and $0 annual fee, so it’s ideal for consumers who want to transfer a balance and not worry about getting penalized in case they miss a payment. That’s right, there is no penalty APR here. Even more encouraging about the Chase Slate, you don’t need excellent credit to get approved for one. They’re willing to work with FICO scores that may not be perfect. Fees: $0 annual fee. $0 introductory balance transfer fee on transfers made within the initial 60 days of opening an account. Perks: The card comes with enrollment in the Chase Blueprint program which gives you access to your FICO score and allows you to control your own debt payment schedule if you transfer an existing balance over to it. There is also no penalty APR in case you miss a payment. Drawbacks: The most glaring drawback is that you don’t get any rewards points or cash back for using the card. The introductory APR period is decent, but there are other cards offering longer 0% offers. The Slate also has a balance transfer limit of $15,000, so keep that in mind in case this is a card you’re thinking about for that sole purpose. The it card from Discover is one of the more widely advertised cards on our list, chances are you’ve seen the commercials touting great advantages like cash back rewards offers, an 18 month 0% introductory APR, and a “cash back match” offer for new customers. It’s also a great card for consumer protection, featuring the company’s very cool “Freeze it” feature. Like the Slate, there is no penalty APR on the Discover card and when it does rise after the introductory period, it won’t be egregious as long as your credit score is great. APR: 11.24%-23.24% variable based on your credit score. 0% Introductory APR is good on all purchases and balance transfers for an 18 month initial period. Fees: $0 annual fee. $0 foreign transaction fee. No late fee on first late payment only. 3% balance transfer fee after the 18 month introductory period expires. Perks: The “Freeze it” features lets you prevent unauthorized charges in the event it is lost or stolen. You just simply go to the mobile app and turn it on and off until the card is back in your possession. Discover also has a sign up promotion where the company will match any cash back you earn over the first year of ownership. So it’s double the rewards on all purchases. Drawbacks: Compared to Visa, MasterCard, and American Express, Discover isn’t as widely accepted by merchants and retailers, but they are making strides towards a wider market. Bank of America’s Visa card offers a lengthy introductory APR that’s among the longer ones on our list and your rate increase won’t be too jarring after the fact either, as long as your credit score qualifies. You won’t get charged any annual fee for using the card, but there is a balance transfer fee in case you want to move some existing debt from a current card with a higher APR to pay it down faster. Just be aware however, if you are going to transfer any balances, do it right after you get the card. You have a finite amount of time to get the best deal before the rate increases. APR: Variable APR of 11.24%-21.24% after a 0% introductory APR on purchases and balance transfers for 18 months on transfers made within the first 60 days from when you open the account. Fees: $0 annual fee. $10 or 3% balance transfer fee, whichever is greater. Perks: This Visa brings with it some of the best zero liability fraud protection among any of the cards on our list, you’re never responsible for unauthorized charges made on it. Bank of America also allows you to take up to 18 months to pay off any balances you may transfer over to the Visa, so you can still take full advantage of that introductory APR. Drawbacks: This is another card that has great rates but no rewards. 21 months. Almost two full years. That’s how long your 0% introductory APR lasts on the Citi Simplicity card. In that department, this card is easily one of the best on our list. It also gets high marks because there are no annual fees, no late fees, and they won’t even hit you with a penalty APR in case you are a little late paying your bill. After that initial 0% APR, the rate kicks up just a bit higher than some other cards out there but it’s still a relatively low interest rate compared to many of the other options on the market. That is, if your credit is excellent. In fact, you probably won’t even get approved for the Simplicity card unless your FICO score is impressive. Fees: $0 annual fee. $5 or 3% balance transfer fee, whichever is greater. Perks: Citi gives you free access to your credit report and FICO scores so you can regularly monitor your credit to keep it impeccable enough for that low APR. Drawbacks: There are no rewards offers and, if you’re planning on transferring over any balances, just be sure you’re not doing it from another Citi account. The Simplicity card is restricted from taking on that type of debt. The Chase Freedom Unlimited card has a ton of great benefits to qualified cardholders, even if the APR it offers after a decent introductory period isn’t as low as some of the others on the list. But there’s no denying the many advantages that come with the Freedom Unlimited, including unlimited cash back which means you can earn rewards on anything you buy – not just on purchases in certain preset categories. There are some enticing offers to get you to apply, no annual fees, and loads of consumer protection features. Fees: $0 annual fee. 5% balance transfer fee after 15 months. Perks: Unlike Chase bank’s other Freedom card, this Unlimited version offers you 1.5% cash back on all of your purchases, no matter what you buy. They are also offering a sign up bonus of $150 after you spend $500 within 90 days of opening the account. You can also earn another $25 when you put an authorized additional user on the card and make at least one purchase within that same three month span. Chase also offers fraud, purchase, and price protections. Drawbacks: Not much, really. This is a pretty great card to have in your wallet especially if you like cash back rewards. Just be aware that you’re going to need excellent credit to be approved for this card. U.S. Bank offers a Platinum Visa card that gives you a pretty low APR rate after a decent introductory 0% APR that extends for one year and three months. There aren’t many bells and whistles here beyond some typical fraud protection features that you would find on any other Visa Platinum card. The lack of rewards may make it less attractive than some other cards on the list but the low APR of just over 10% makes it a card worth checking out. Perks: There are some solid safeguards in place, including fraud protection that red flags any strange activity on the card, zero liability coverage so you’re not responsible for unauthorized or fraudulent charges, and online bill pay. The low APR of 10.24% is one of the lowest available right now. Drawbacks: It’s a pretty standard Visa without cash back rewards or other fancy bonuses. The introductory APR period is good but there are longer options out there. TD Bank’s Visa card offers a mixed bag of pros and cons for consumers looking for a good, low interest rate credit card. 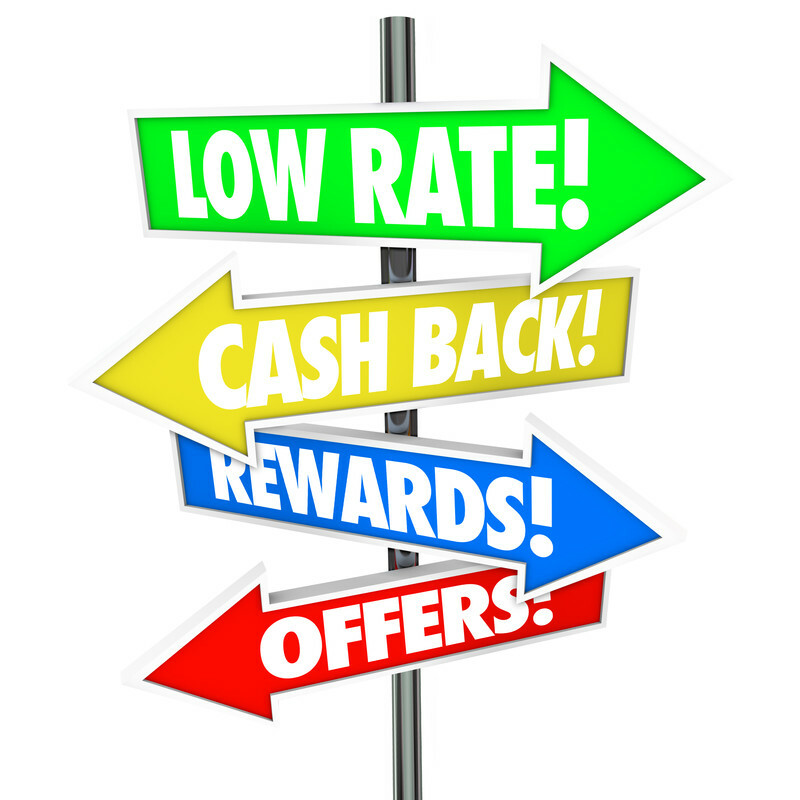 Its lowest APR is commensurate with the average you’re likely to find on the market at the moment and it offers good cash back rewards when you use it to go out to eat. So foodies will certainly enjoy the benefits of owning this Visa, the rest of you however, may not love it as much. There’s a 0% introductory APR but it only applies to balance transfers, so feel free to move some money over to it if you want to take advantage of the initial offer. That introductory period lasts for just 12 months so that may also limit your benefits from owning one. APR: Variable APR of 13.24%, 18.24% or 23.24%. 0% Introductory APR for 12 months on balance transfers only. Perks: New customers get a $100 cash back bonus after they’ve spent $500 within the first three months of owning the card. It also comes with all of the other perks of the Visa Signature program. Drawbacks: The major drawback, obviously, is that introductory APR applies only to transfers and not new purchases. Though you do get rewards, those are limited to restaurants, delis, and similar businesses. The Ring from BarclayCard takes the top prize for the lowest APR on our list. It beats out every other card we’ve featured here and, if that weren’t enough, there are no annual fees, no balance transfer fees, no foreign transaction fees and only $3 for any cash advance transactions. The card also gives you a proactive voice in choosing the type of benefits and rewards you can earn from using it. There is no introductory 0% APR period, however, but at this rate, you’re getting a pretty fantastic deal. APR: 8.25% APR on purchases, balance transfers, and cash advances. Fees: $0 annual fee. No balance transfer fees. No foreign transaction fees. $3 cash advance fee. Perks: The card comes with enrollment in BarclayCard’s Giveback program which rewards members based on how the membership votes. The cardholder community shares equally in all of the estimated profits that are made through the card. FICO score access is also given to members. Drawbacks: It’s a strange program for earning rewards and there is no introductory 0% APR. But the APR of 8.25% is the lowest you’re going to find just about anywhere. The Amex Every Day Card offers a pretty standard set of terms and fees that you can find on most of the cards on this list. The introductory APR is fine enough, and the low rate of 13.24 is average, plus you’re also getting an American Express card which is accepted at fewer places than Visa or MasterCard (but not by much). The bigger benefit with this option, however, is the rewards program that’s in place. You can earn 2X points on supermarket purchases and 1x points on most other purchases, and redemption of your points is easy to do and eligible for use on booking travel plans. Fees: $0 annual fee. $5 or 3% balance transfer fee. Perks: The Every Day Card has a points reward system that gets you the most bang for your buck at supermarkets, some place where you probably spend a good amount of money on a regular basis. So you can earn points relatively easy and on purchases you already make. It also rewards you if you use the card more than 20 times within a billing period to the tune of a bonus of 20% more points. 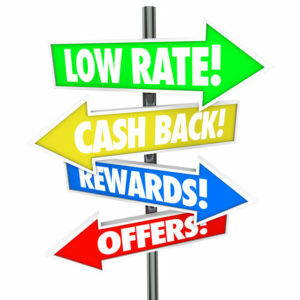 Drawbacks: With so many ways to earn points and various amounts and percentages offered based on repeated use of the card, you’ll be tempted to spend a lot on it. That can become a problem and add to your overall debt – and amount you pay in interest – if you’re not careful. Low interest credit cards with 0% introductory offers, no annual fees, and rewards programs are certainly attractive to consumers who spend responsibly. But just remember, that these initial periods do eventually expire and then you’re working with a card that could have an APR that fluctuates much higher based on the market rate. So when you’re selecting your new card, be sure you look to the future and know what you’re getting into before it’s too late. The same can be said for transferring a balance, as moving that debt from a card with a higher APR to another with none is definitely a shrewd, responsible financial move, but be sure you can pay that balance down before the introductory period expires or you may be just defeating the purpose entirely.